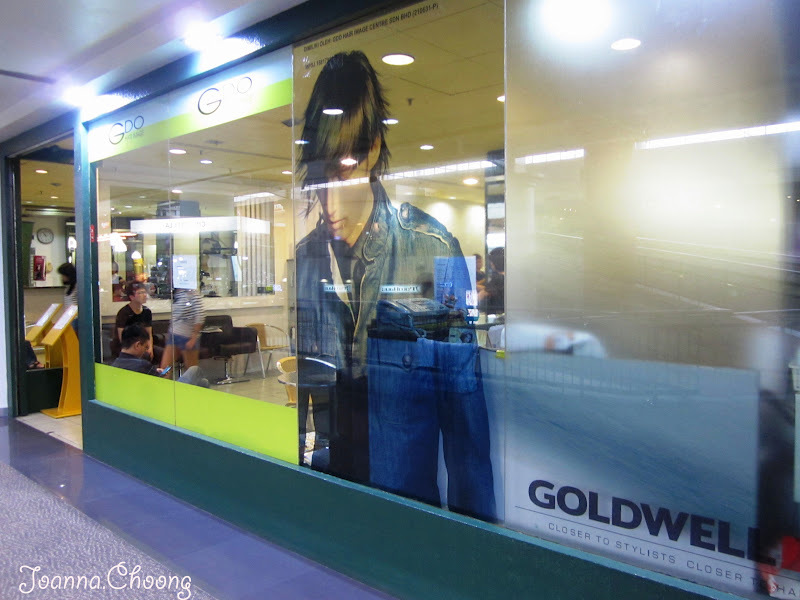 I did ask my mum how she found out about this place and started coming here? She said she randomly walked and tried. Honestly I thought that was quite daring, because for me I would usually ask around or my friends to suggest a good place to cut hair. I had some bad hair cut experience so maybe that's why I'm so particular. 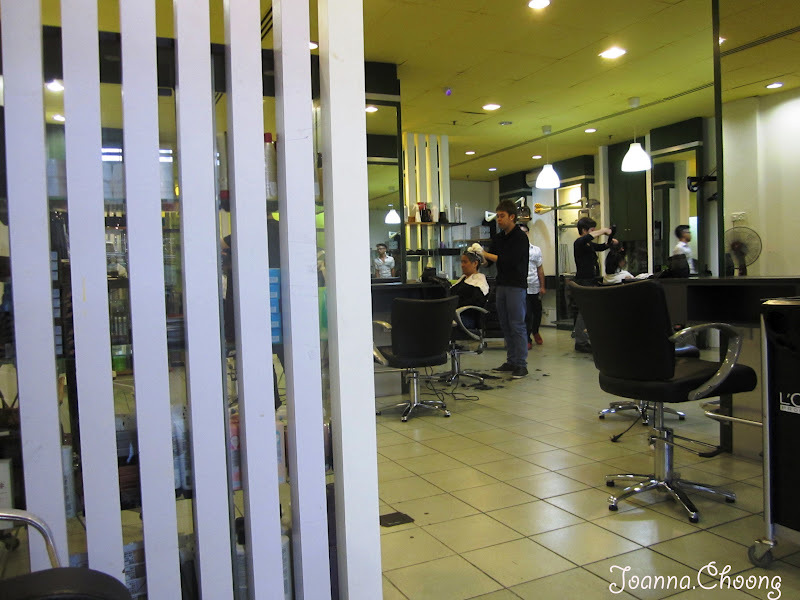 Because my mum keeps coming back to this place, and I needed a hair cut so badly, I decided to just follow her. 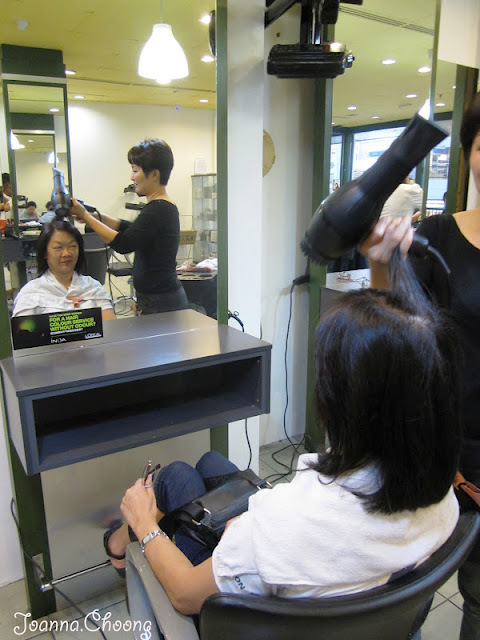 A quick hair wash and hair cut by senior is RM48 for long hair. When the stylist was looking at my hair, he mentioned it was really long and even asked how long do i take to wash my hair. Lol. If you look at the picture properly, those hair at the side of my face is actually the hair from the other side clipped over. 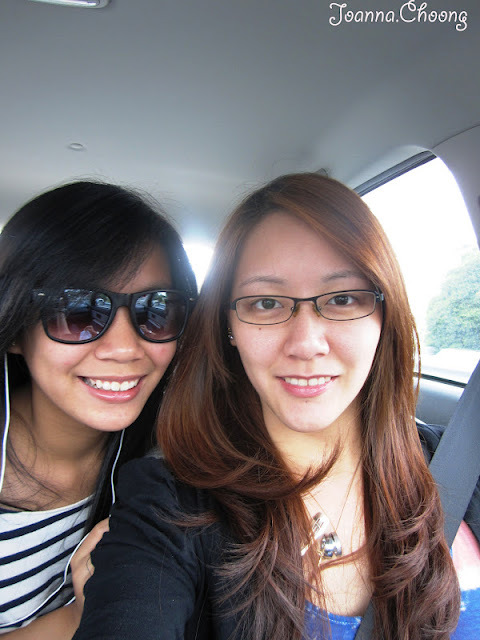 That's how long my hair was. My sister, she looks so tiny and cute here. After hair cut, now blow drying. At first only the stylist was drying my hair, but suddenly another girl came and took another hair dryer and blew the other side of my hair. So it was like two people blow drying each side which at that time I felt a little weird, felt like they were attacking me LOL. The girl that was drying my hair suddenly said "panjangnya rambut", which means the hair is very long. Then I thought to myself, I've already cut about two inches! It's not long anymore. I really love how they blew dry my hair and made loose curls or wavy. I think it looks gorgeous here, but now it's straight again! Arrgghhh... 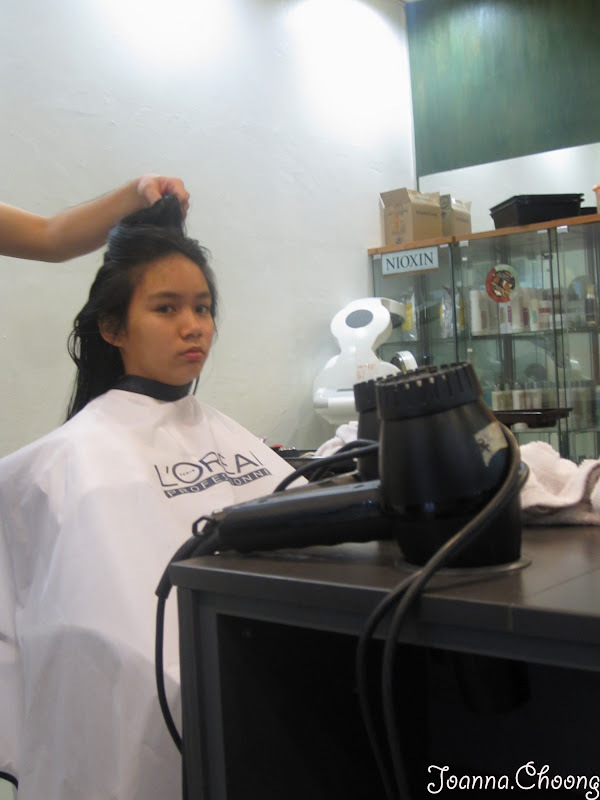 I tried using hair dryer and doing what they did, but my hair got stuck few times. Now I'm tempted to get a curler tong. To some people (especially the guys) may not see the difference, so I will tell you the difference. 3. A little thinner (I had no idea why the stylist thinned my hair as my hair already so thin itself!) - But non the less I'm quite satisfied with the stylist in a way. 4. He trimmed my fringe and restyled it a bit. 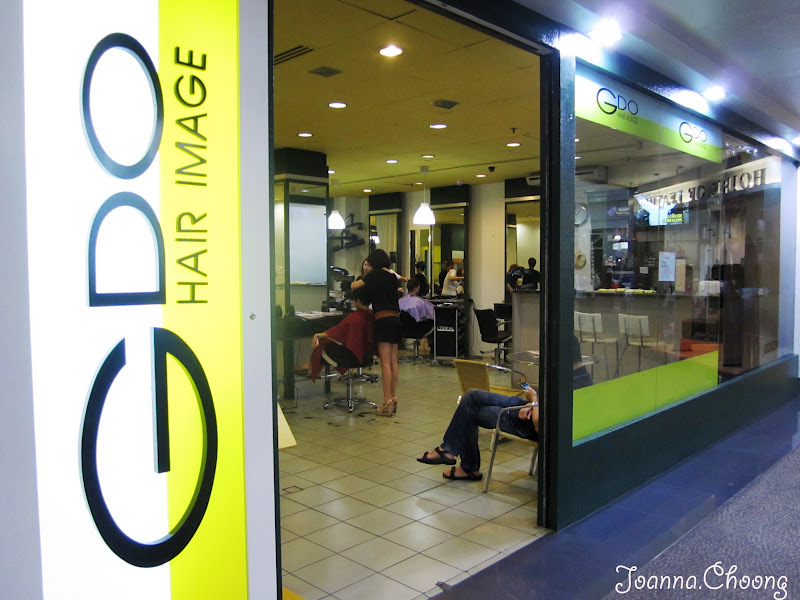 Because the price is quite affordable for senior, better environment as compared to those little salons that charged super expensive! My old hair stylist was located in Lucky Garden, to wash and cut cost me about RM50!!! 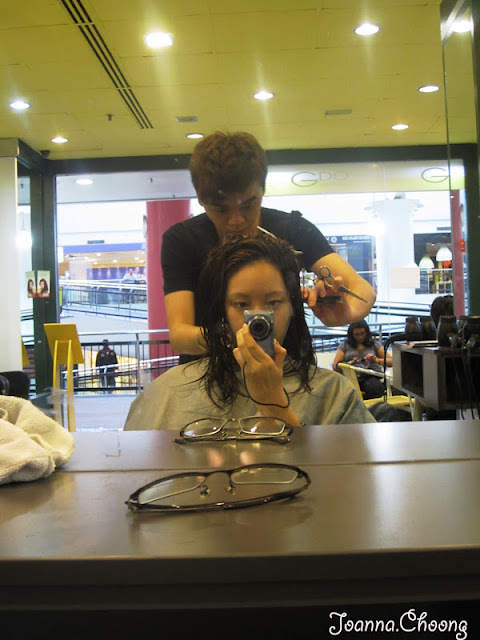 And that time my hair wasn't even as long as now, as for this it's only RM48. Another thing I dislike about my previous salon is that when they wash they scratch your scalp, sometimes pretty rough too. 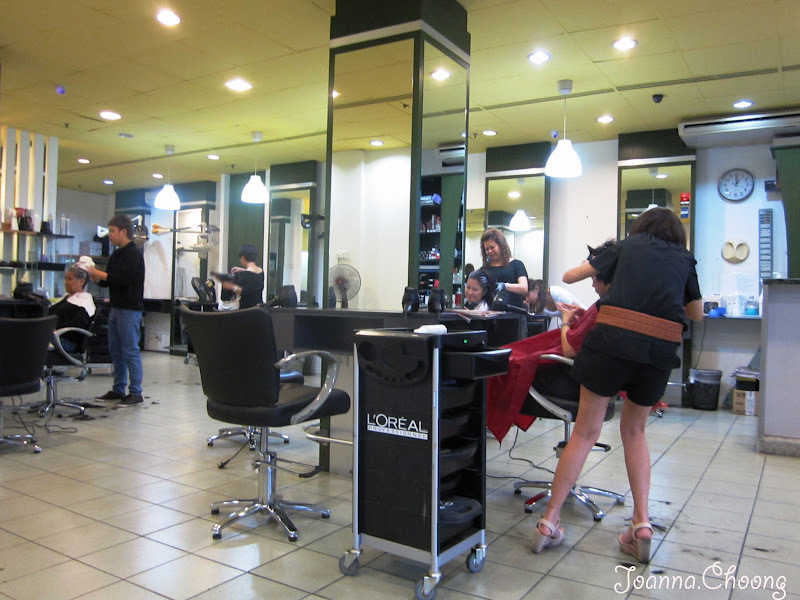 But for this salon they were a little rough during combing and blow drying. But I think it's pretty much the same in other salons.